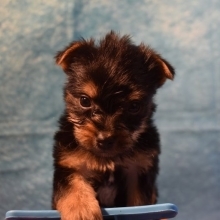 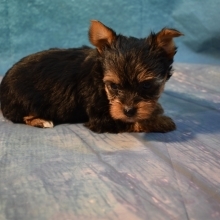 A small, affectionate dog, the Yorkshire Terrier has been a popular breed all over the world for decades. 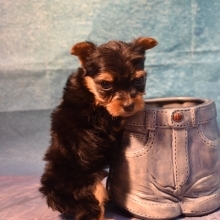 They were originally “ratters” - bred to catch rats - for the working class of England, and were one of the first AKC registered breeds after their move to the United States in the late 1800s. 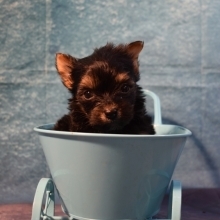 These days, Yorkies are known for being independent and feisty at times, but they learn very quickly and are keen to be near their owners. 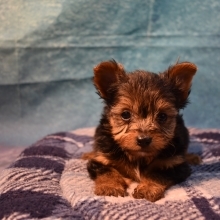 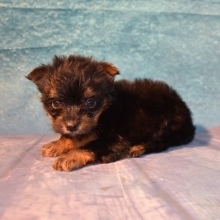 Yorkies are small dogs, typically weighing in at an average of 5-7 pounds, and, although nobody can guarantee any dog is hypoallergenic, Yorkies are often referred to as hypoallergenic because they have human-like hair instead of fur.